A look into how Hideo Kojima’s career mirrors Big Boss’ own struggles. Unless you are living under a rock, Hideo Kojima has finally moved on from Konami and has founded his own games studio, Kojima Productions. Kojima also revealed the studio’s new logo which seems to have a sci-fi and medieval feel to it. But wait, there is more. If you are an ardent Metal Gear Solid fan that you must be aware that when Naked Snake [Big Boss] worked for FOX, the logo was different compared to the one when he went on to form his own unit, Militaires Sans Frontières [MSF]. If you look at the images below you will understand how Naked Snake broke away from the shackles of Cipher and formed his own unit with the symbolic Skull. Interestingly, when Hideo Kojima was working for Konami, Kojima Productions’ logo was pretty similar to the one used by Naked Snake during his days with the FOX unit. 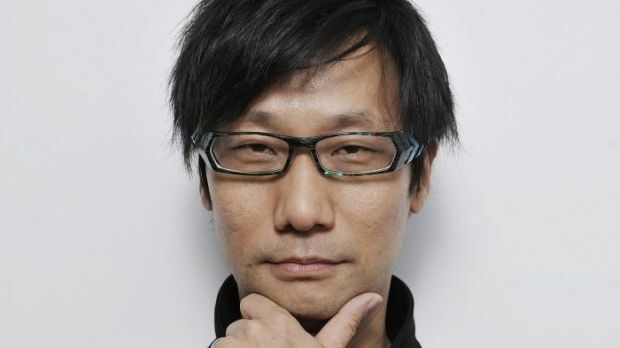 But now that Hideo Kojima is free from Konami, he can finally form his own place. And what is the symbol for the new Kojima Productions logo? A Skull. In many ways, the new logo represents Hideo Kojima moving away from Konami and finally finding his own freedom, just like what Big Boss did when was frustrated with the ending events of Metal Gear Solid 3: Snake Eater. It’s amazing to look back as how the life of Hideo Kojima actually mirrors with Big Boss’. It’s perhaps a testament that Kojima has always shared his feelings and thoughts through Snake. When one thinks about it, his journey in the last one year resembles to that of gaming’s most recognizable and beloved characters of all time. As Solid Snake said in Metal Gear Solid 2: Sons of Liberty, Building the future and keeping the past alive are one and the same thing. Kojima isn’t exactly letting go of his past. The Skull will always be a reminder of his previous work with Metal Gear. He will be keeping the past alive, yet striving to develop magnificent games in the future.